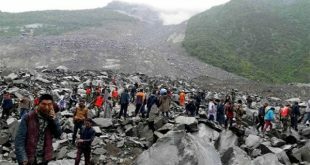 DHAKA/GUWAHATI, India, June 14, (Agencies): At least 156 people were killed in Bangladesh and neighbouring regions of northeast India after heavy rains triggered a series of landslides and flooded swaths of land over the past two days, officials said on Wednesday. Densely populated Bangladesh is battered by storms, floods and landslides every rainy season. The latest casualties come weeks after Cyclone Mora killed at least seven people and damaged tens of thousands of homes in the country’s southeast. 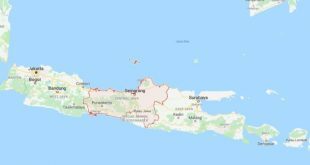 Landslides hit three hilly districts in Bangladesh’s southeast early on Tuesday, killing 98 people in Rangamati, 32 in Chittagong and six in Bandarban, said Reaz Ahmed, head of the department of disaster management. Many people are still missing and the death toll could rise further as rescuers search for bodies, Ahmed told Reuters. 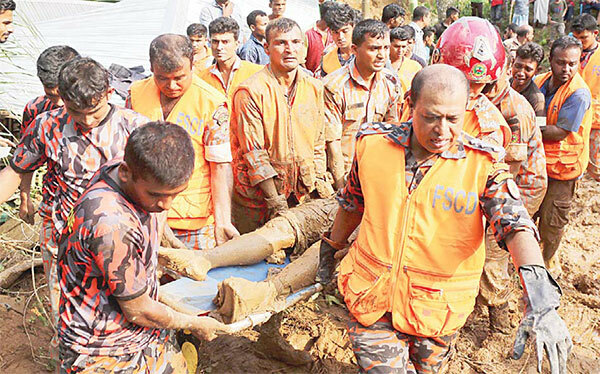 The death toll included four soldiers who were trapped by a landslide after they joined the rescue operation in Rangamati, he said. Shah Kamal, the secretary of Bangladesh’s disaster ministry, said there had been no rain on Wednesday and rescue operations were in full swing. “It is a great relief. Some areas in the district are still cut off but people are being moved through navy boats,” he told Reuters by telephone from Rangamati. At least 11 people were killed in the Indian states of Mizoram and Assam, which border Bangladesh, as incessant rains flooded major cities. Mizoram authorities had recovered nine bodies and around seven people were still missing, the state’s urban development and poverty alleviation minister said. Indian Prime Minister Narendra Modi’s office said in a statement the country was ready to support Bangladesh with search and rescue efforts if needed. Two Bangladesh government officials however said outside help might not be needed. Those caught up in the disaster spoke of the horror that the rains had unleashed. Khodeza Begum emerged from her home just after dawn Tuesday to see the mountainside collapsing in front of her. “As I came out I saw a huge slab of earth rolling down from the hill. Instantly I got all my relatives out of their homes. We survived narrowly,” she told a local news website. “My house was buried under mud within moments. I have never seen a disaster like this in my life,” she said, adding that 11 people in her village were killed. The monsoon rains came two weeks after Cyclone Mora smashed into Bangladesh’s southeast, killing at least eight people and damaging tens of thousands of homes. South Asia is frequently hit by flooding and landslides in the summer with the arrival of the annual monsoon rains. 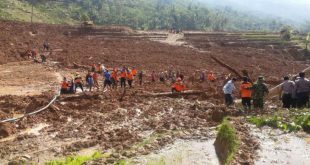 But experts say unplanned development and excessive encroachment — such as cutting into hillsides — exacerbates the damaging effects of the monsoon. “It’s a backlash effect. Such abnormal acts accelerate the disasters to become more fatal,” S.M.A. Fayez, an environmental science professor at Dhaka University, told AFP. More than 200 people were killed in Sri Lanka last month when the monsoon triggered landslides and the worst flooding the island has seen in well over a decade.